I am a chef. I am also a Mom. Like any other Mom I want the best for my children. This means making sure they get the right amount of vitamins, minerals, and sugar. Sugar is a necessary part of a healthy child's diet. Without it, kids become subdued and anti-social. My journey to this discovery has not been an easy one. It all started with a call I got from a daycare provider when my daughter was two years old. "Mrs. Rennie, I am calling about Samantha. She seems fine, but she refuses to eat the birthday cupcakes Jenny's Mom brought for her birthday. She said the icing makes her throat hurt. We are concerned she is coming down with something." I assured the teacher that Sammy was fine. "She is a very picky eater and refuses to eat sweet things," I explained. Ice-cream was too cold. Cakes were too sweet. Halloween candy tasted strange. We had a real problem on our hands and if we didn't want our child to be left out, we had to do something fast. Over the next year, I've developed a 5 step program that turned my picky eater into a happy, healthy, and social child. 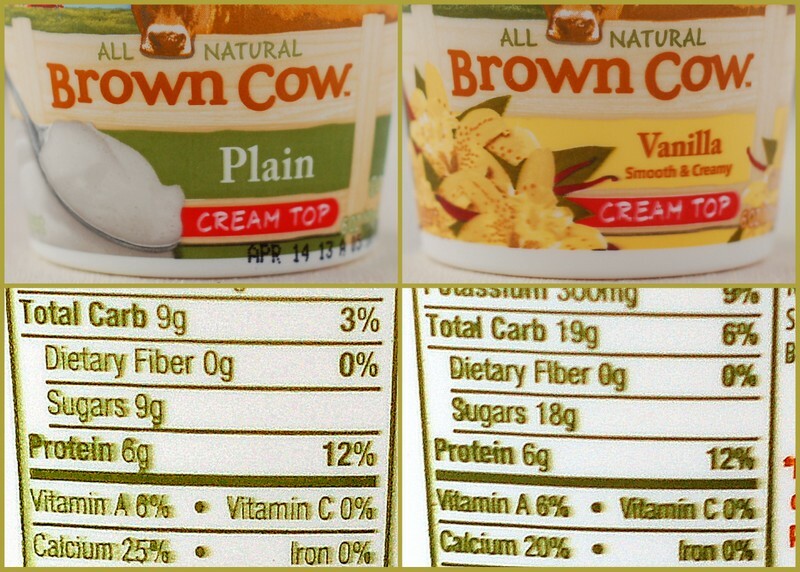 Just because the yogurt is organic or local, doesn't mean it provides your child with the necessary amount of sugar. When I was feeding my children plain yogurt, I thought I was giving them something that was good for them. 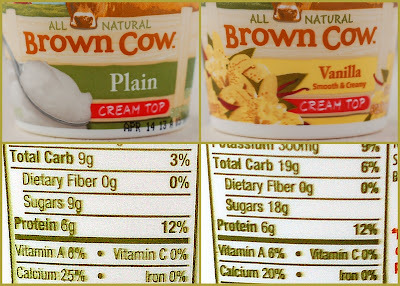 Then I read the labels: there were only 9g of sugar in 6oz of plain yogurt, while vanilla had 18g. Luckily, they looked the same and my kids didn't even notice the substitution. See how easy it is to double the sugar. Sure, your kids love kale and strawberries in their smoothies, but did you know it's also a great place to give them a serving of sugar they desperately need? You can add that awesome vanilla yogurt I talked about in Step 1. Fruit juice, honey, maple syrup are also great additions. They won't even know it's there. That's the magic of Vitamix. 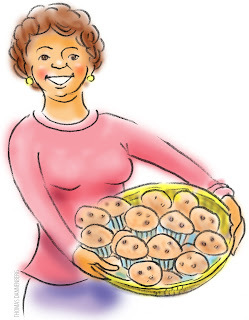 Family activities are a great way to introduce your kids to sugar. Participate in a bake sale for a good cause. Brownies that raise money for a local library won't taste nearly as sweet and your kids just might eat them. Check out a local maple farm and see how they make maple syrup. Visit a Ben & Jerry's factory on your vacation to Vermont and do a tour. When your kids see the love and care that goes into that ice-cream, you'll be surprised how much they'll eat in one sitting. Go trick-or-treating on Halloween. Spread the love by bringing cookies to your neighbors on Christmas. It takes a village to raise a child. If we all swap lemon squares and brownies, earlier or later even the most stubborn child will increase their sugar intake to a healthy level. 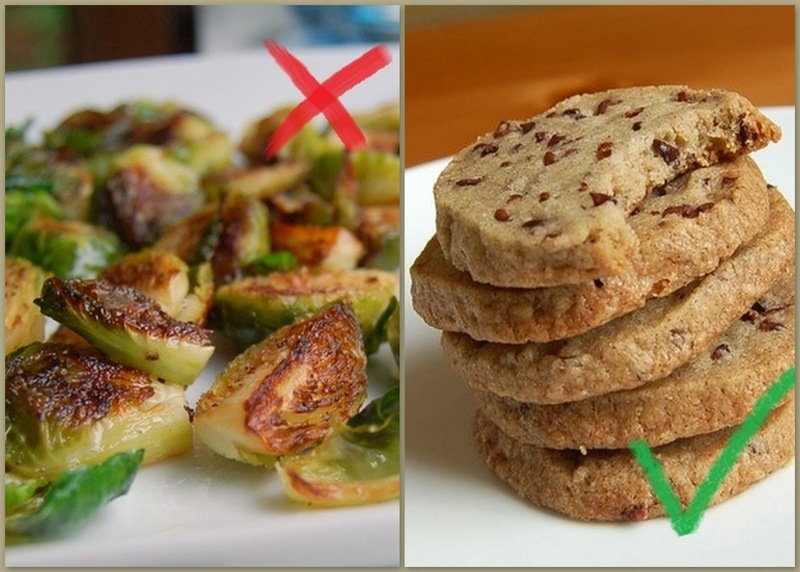 Stop gorging on Brussel sprouts when you had a bad day at work. I am sure it's the liberal amount of oil used to roast vegetables that's causing the obesity epidemic all over the world. Try a cookie instead. If you promise your kids seared scallops for finishing the bag of M&Ms they'll think the M&Ms must be really yucky. Why else would you give them such a great reward? Instead offer all the food to them at the same time and let them choose what to eat first. I know the plan seems overwhelming. But remember -- little steps. Take it one day at a time. Small changes can make a big difference. Rabbit, rabbit. Happy spring--you had me going, too, Helen! I was getting more and more incredulous until I got to the sprouts. So, technically, you didn't get me! You got me twice, and both times was "the work of art". Well done Helen. Have to admit, I spent a few seconds pondering this one! : "Sugar is a necessary part of a healthy child's diet. Without it, kids become subdued and anti-social."